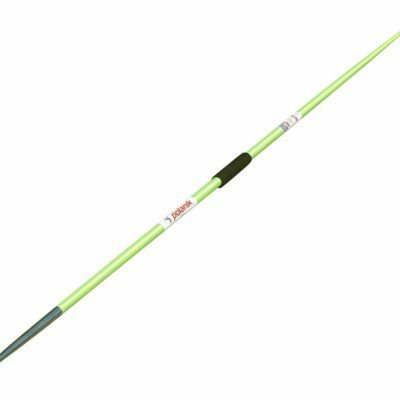 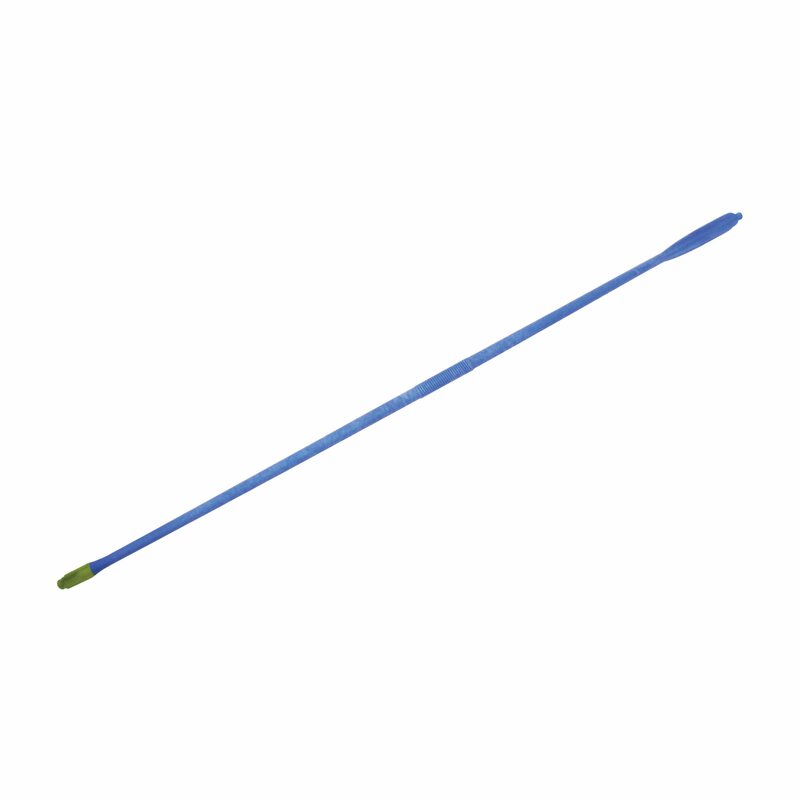 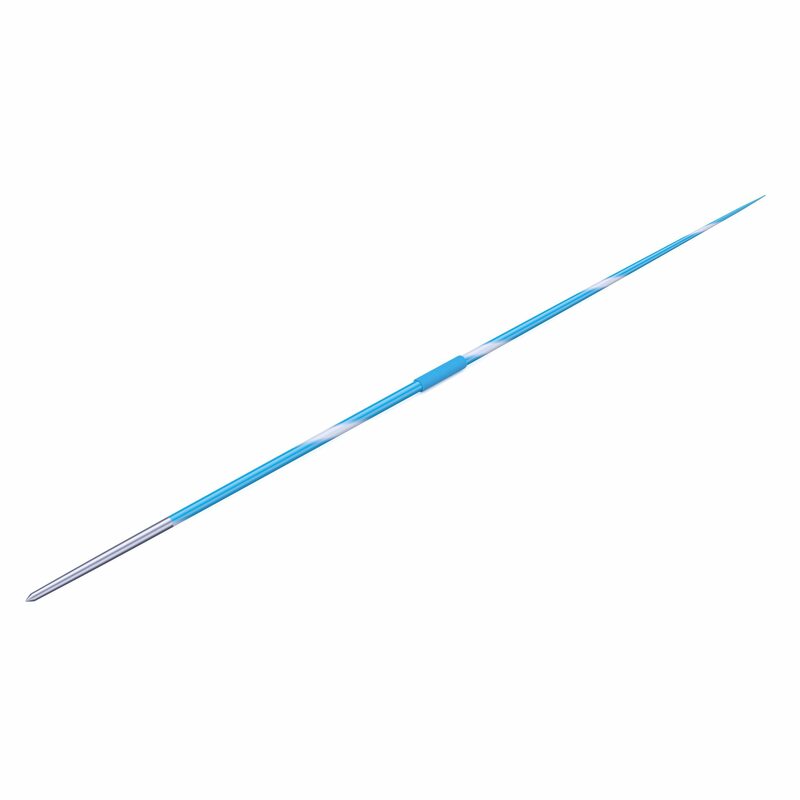 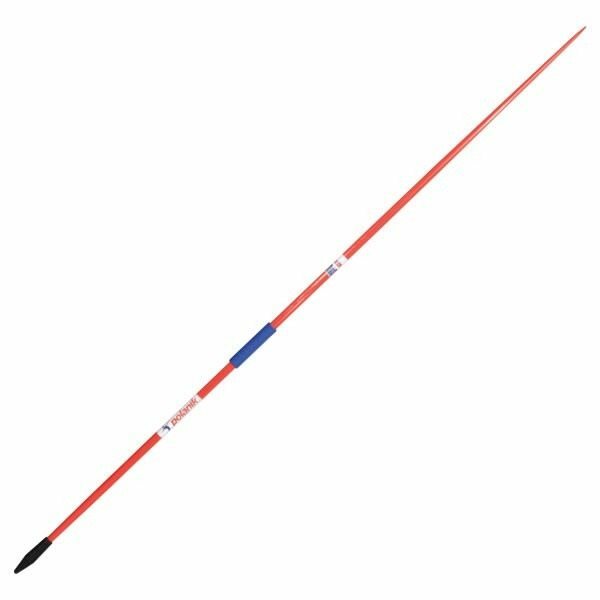 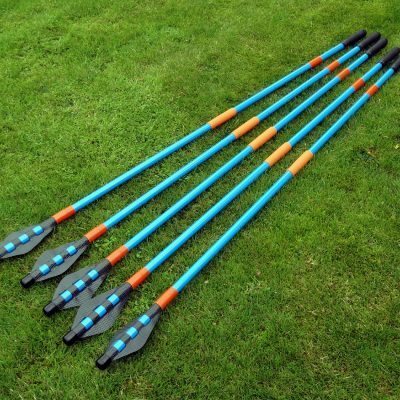 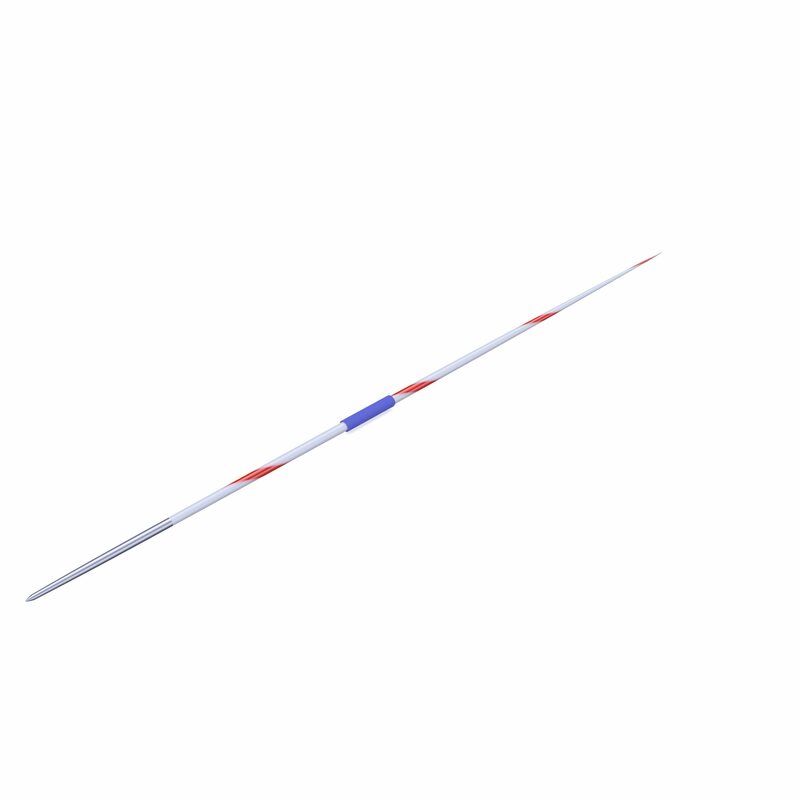 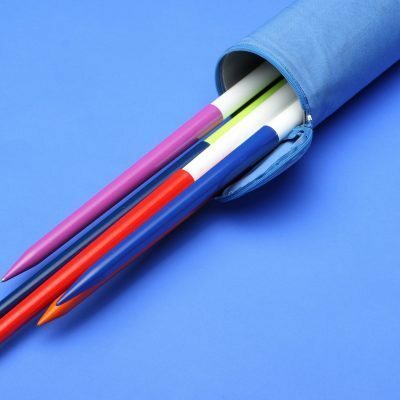 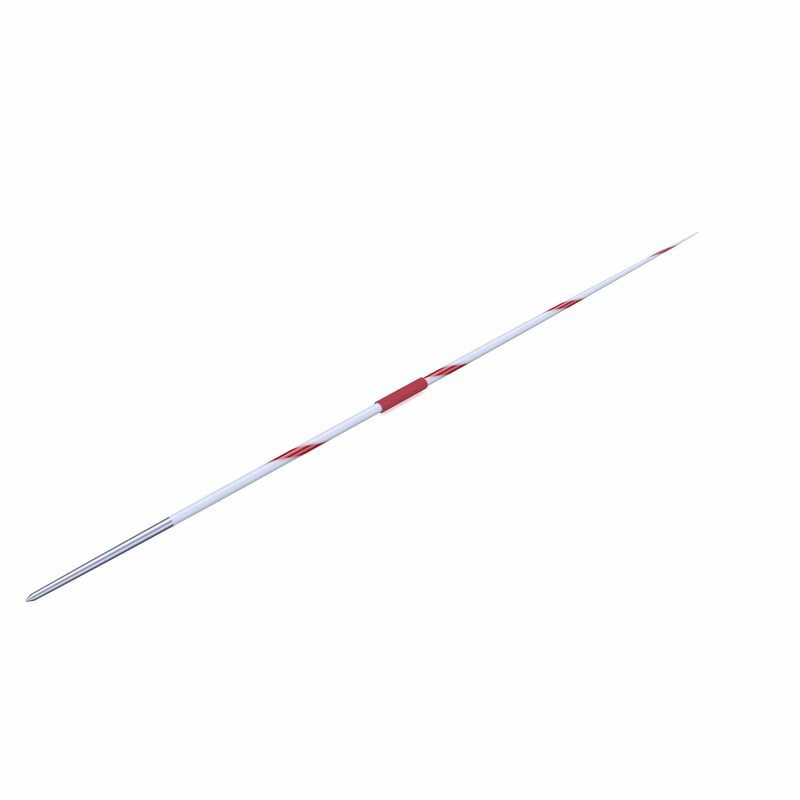 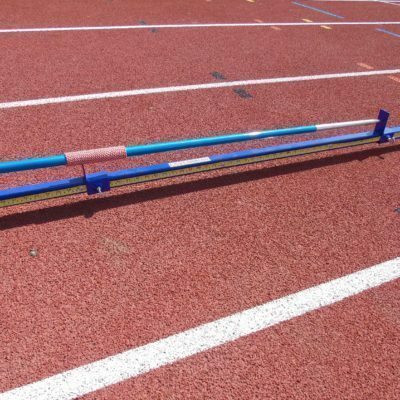 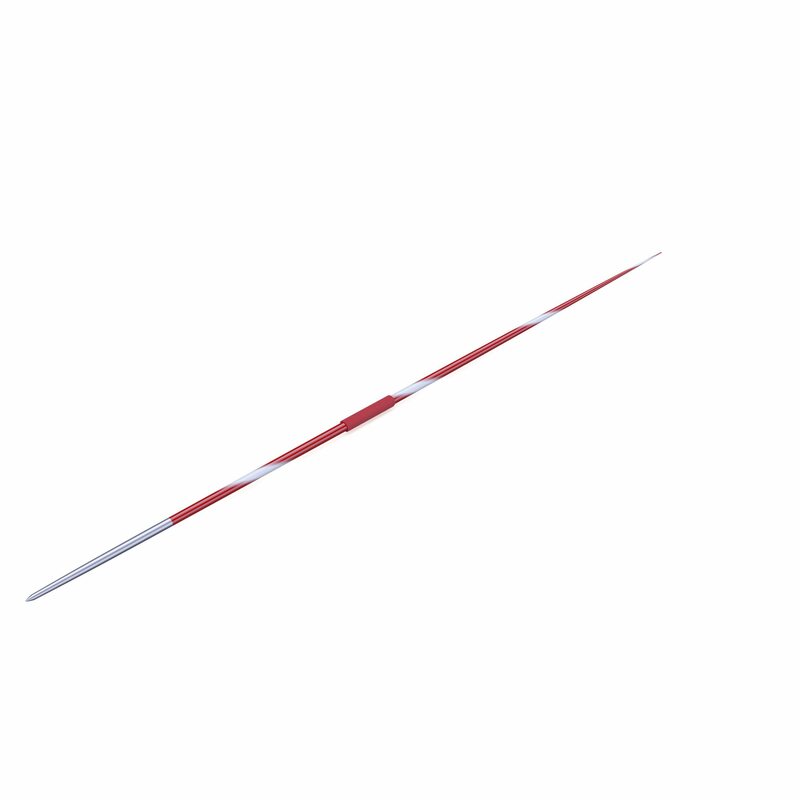 At Athletics Direct we stock the highest quality Javelins for use in competitions, in schools and whilst training. 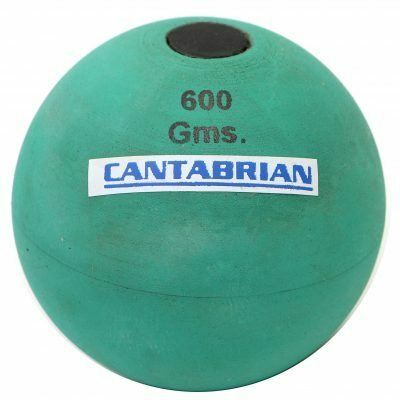 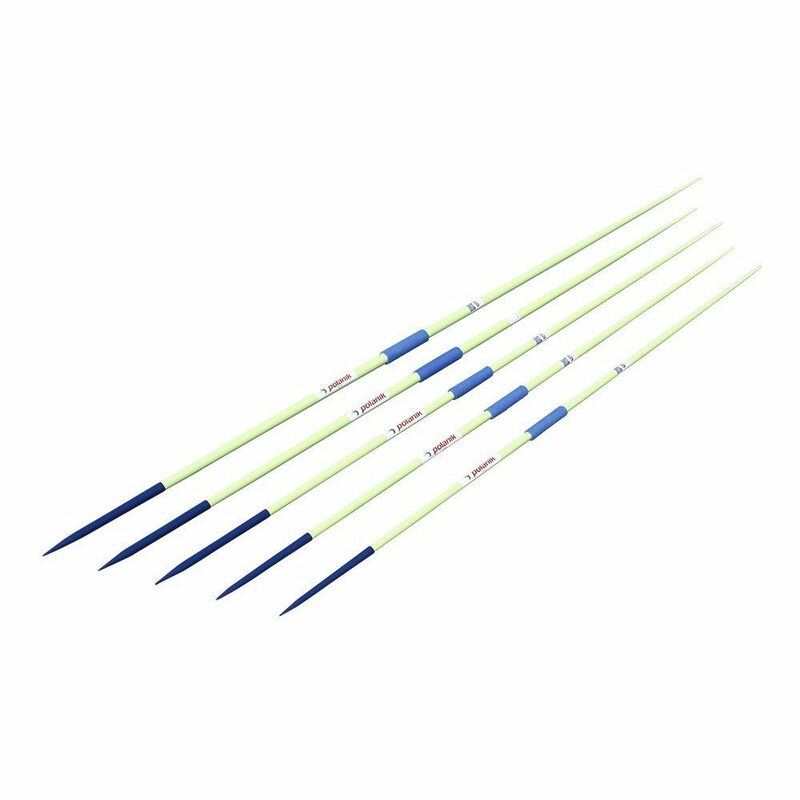 Our competition range includes the Polanik Full Carbon Javelin, designed specifically for long distance throws, for use in high-level competitions.Our other competition Javelins include; the Space Master, a unique, eye-catching Javelin, the Sky Challenger and the Air Flyer, all off which are built with durability and performance in mind. 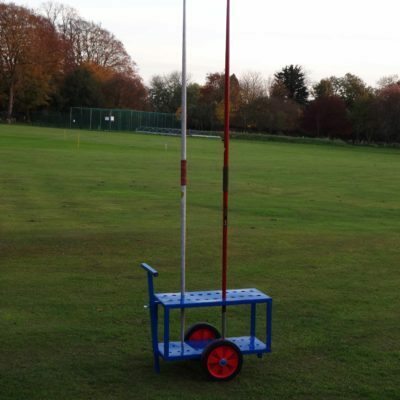 Our school range includes the Polanik Class SK and Class R, both of which are ideal for children at beginner’s level. 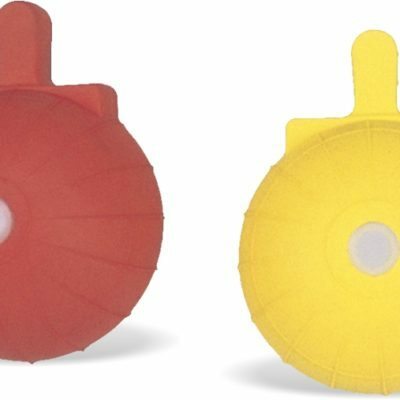 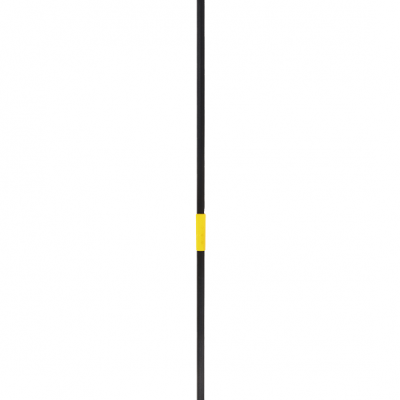 The rubber head of the Class R provides extra safety for use around younger children. 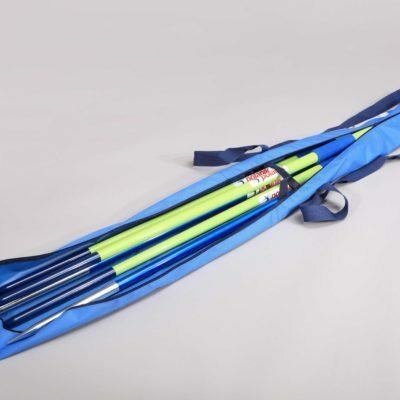 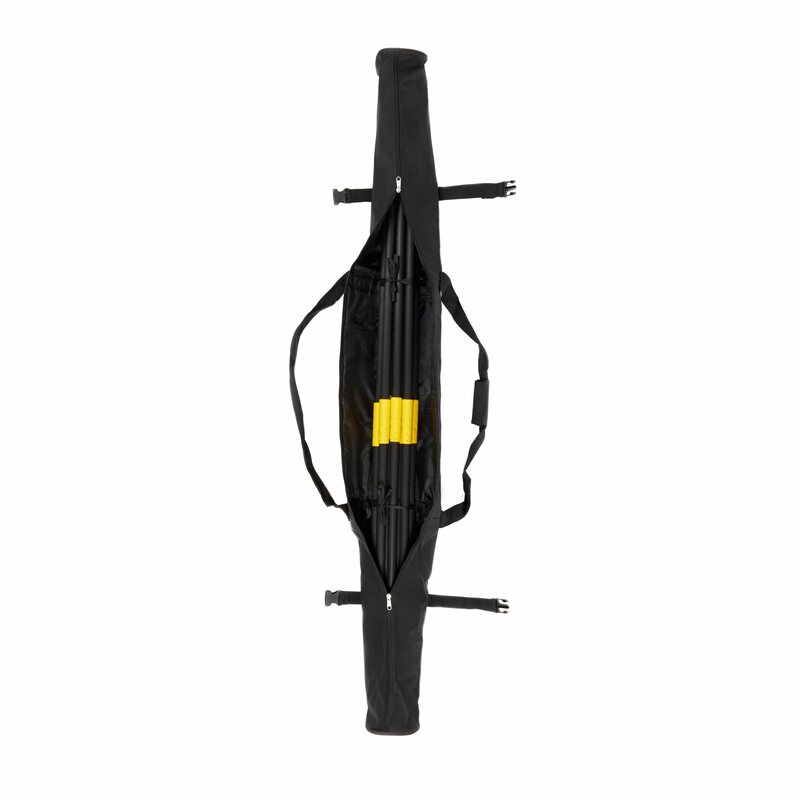 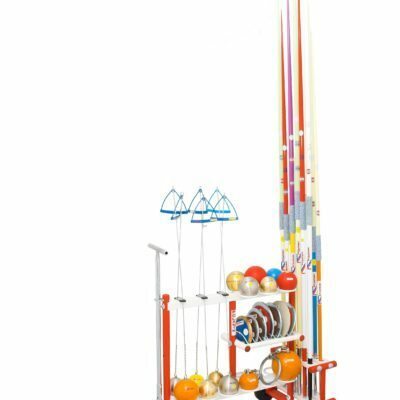 Our training range includes the JAV Tainer Pro. 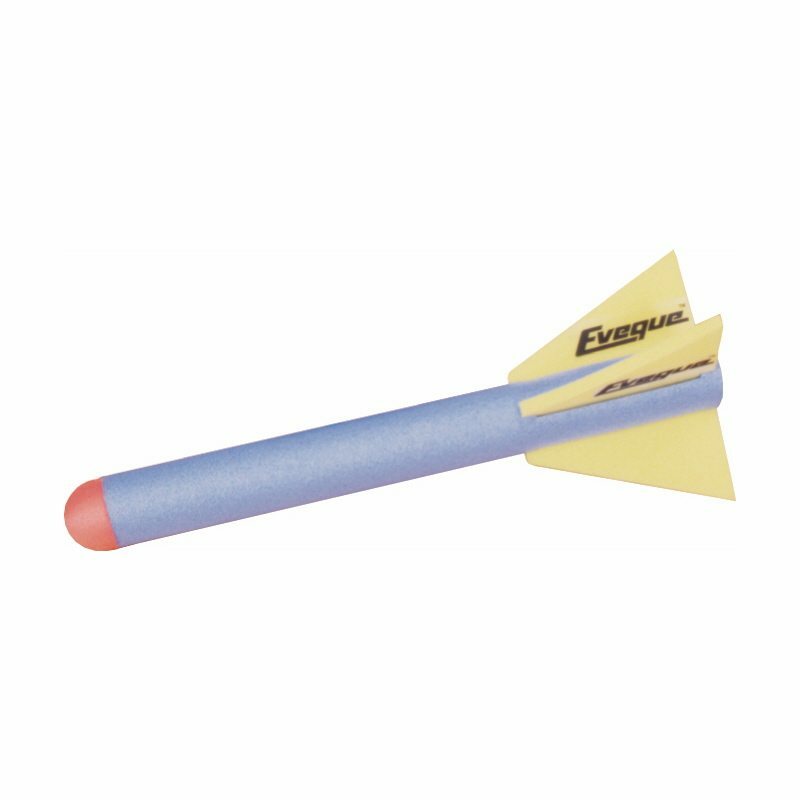 Built from fibreglass and reinforced plastic this Javelin offers a similar flight and feel to a standard Javelin, with the additional safety features required to make it ideal for training purposes. 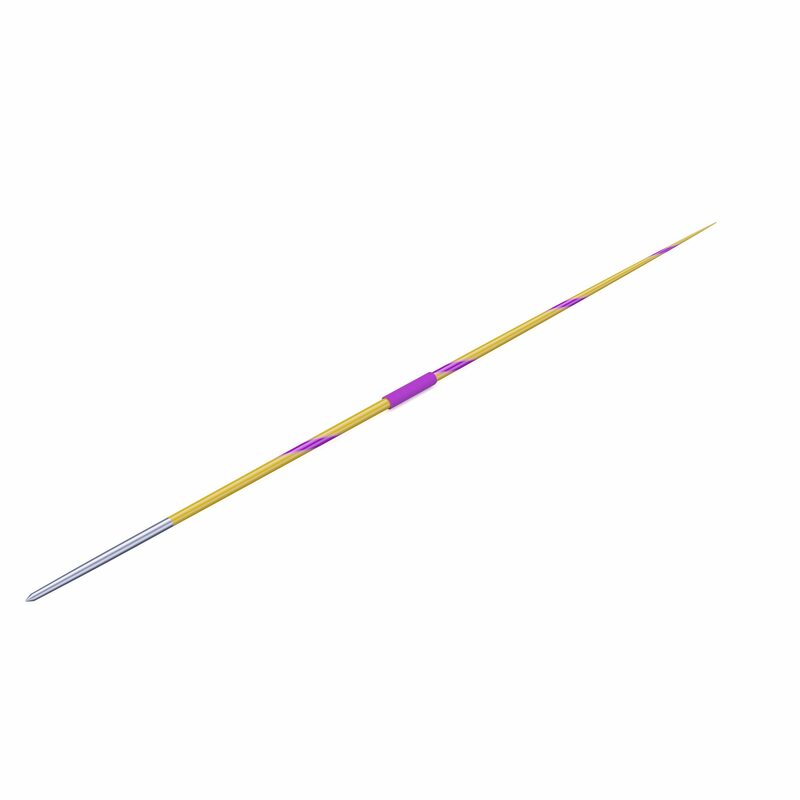 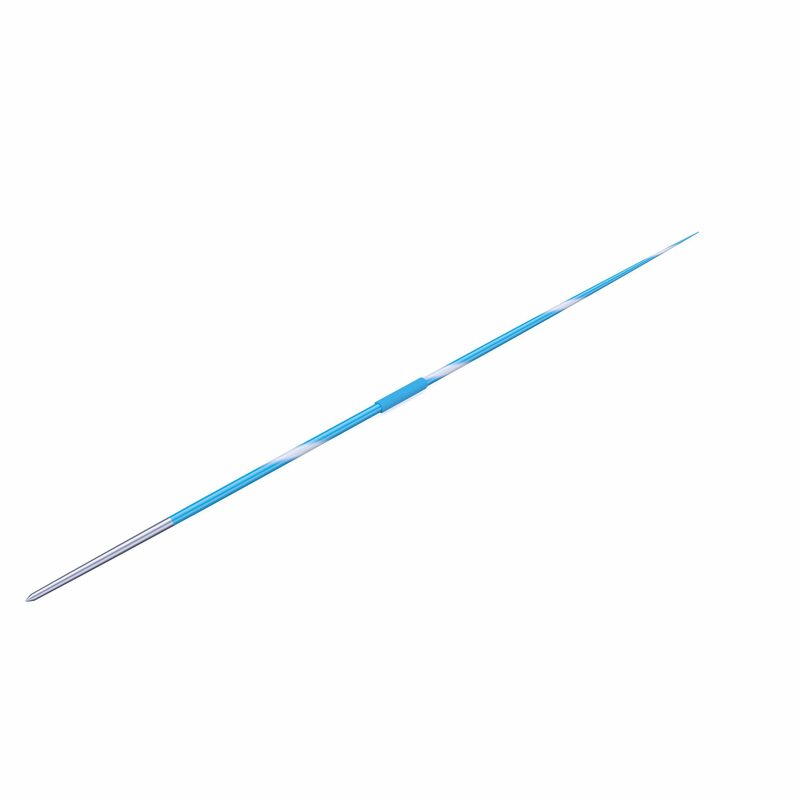 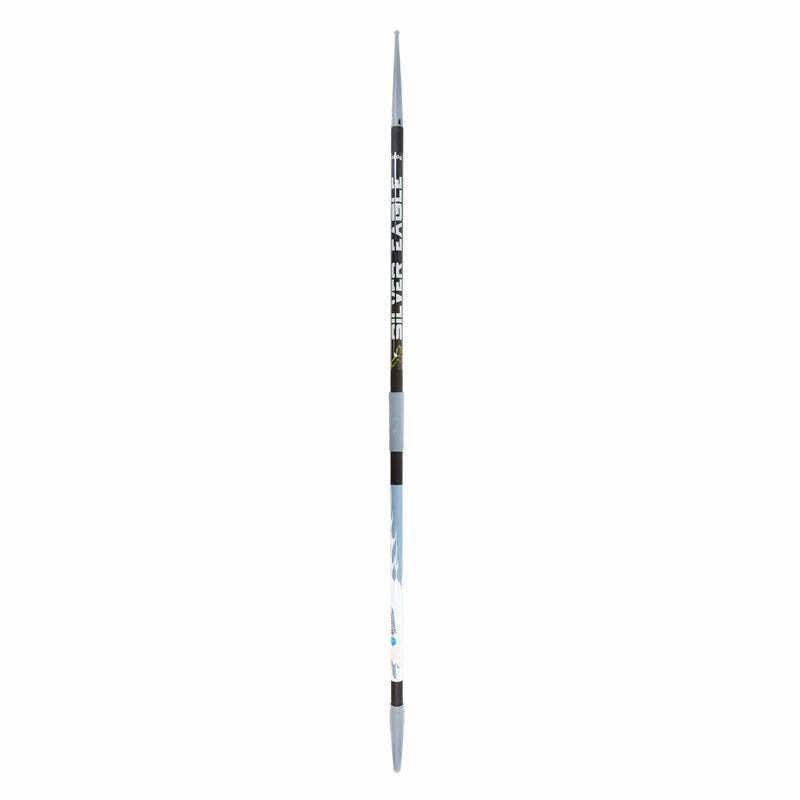 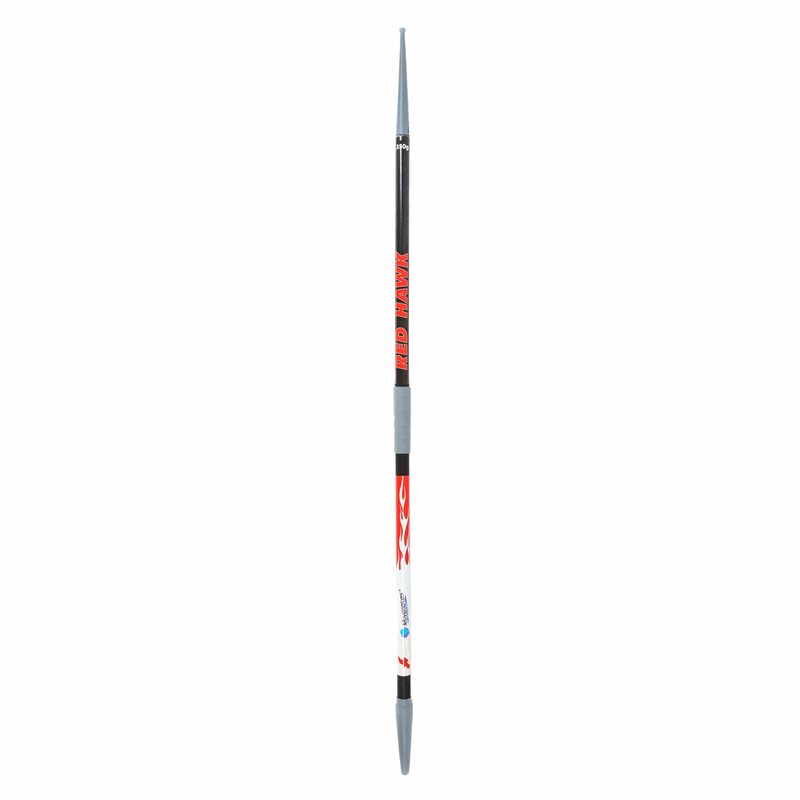 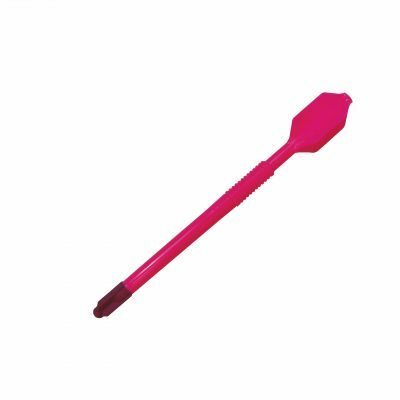 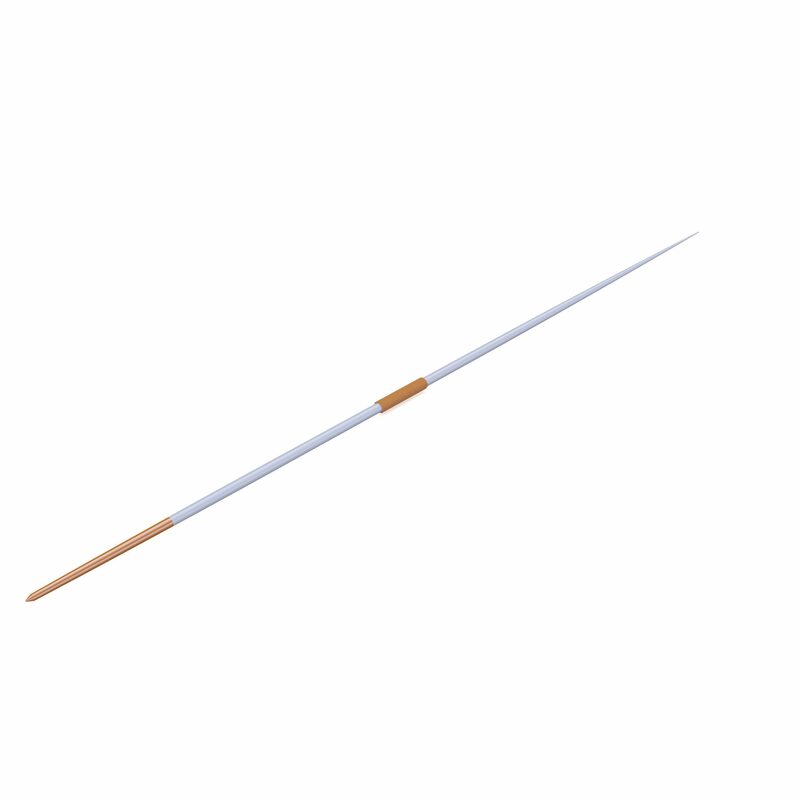 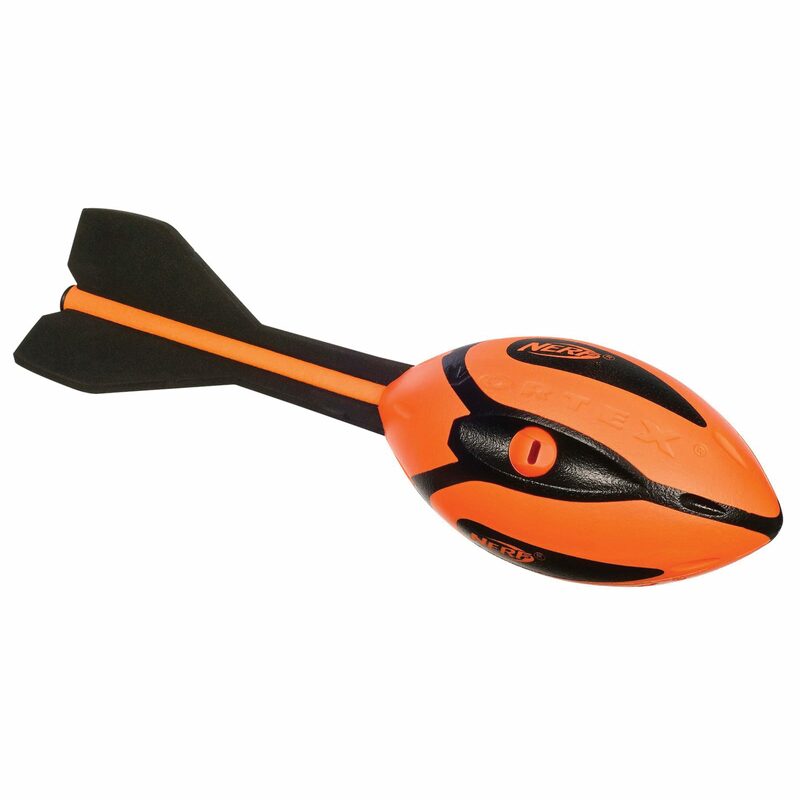 This range also includes the Polanik Class T, a versatile Javelin that is suitable for any ability, ideal for improving technique. 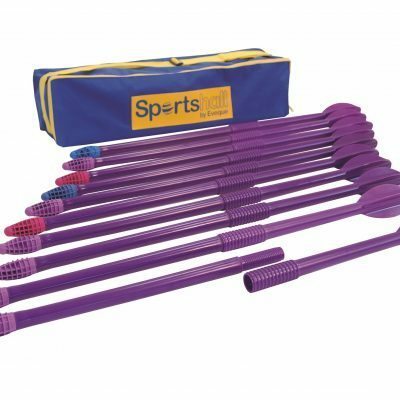 It can also be used in competitions at beginners level. 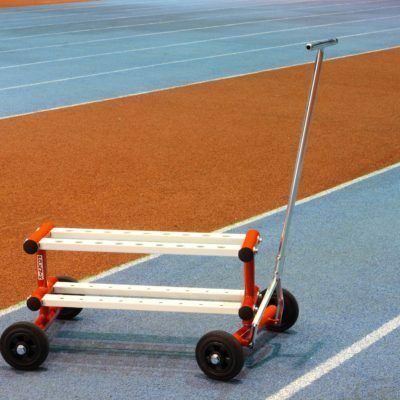 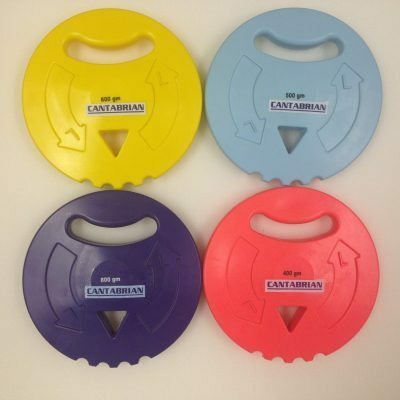 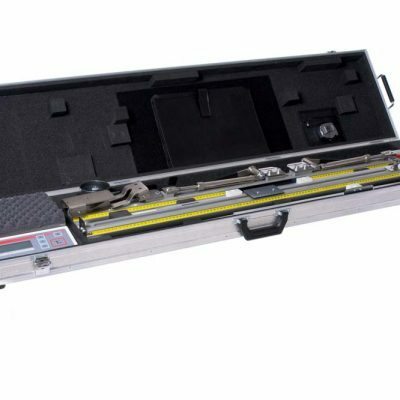 We also provide a range of accessories including trolleys, racks, bags and measuring sets, giving you everything you need to train and compete. 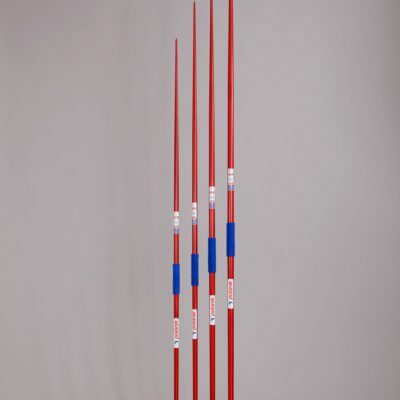 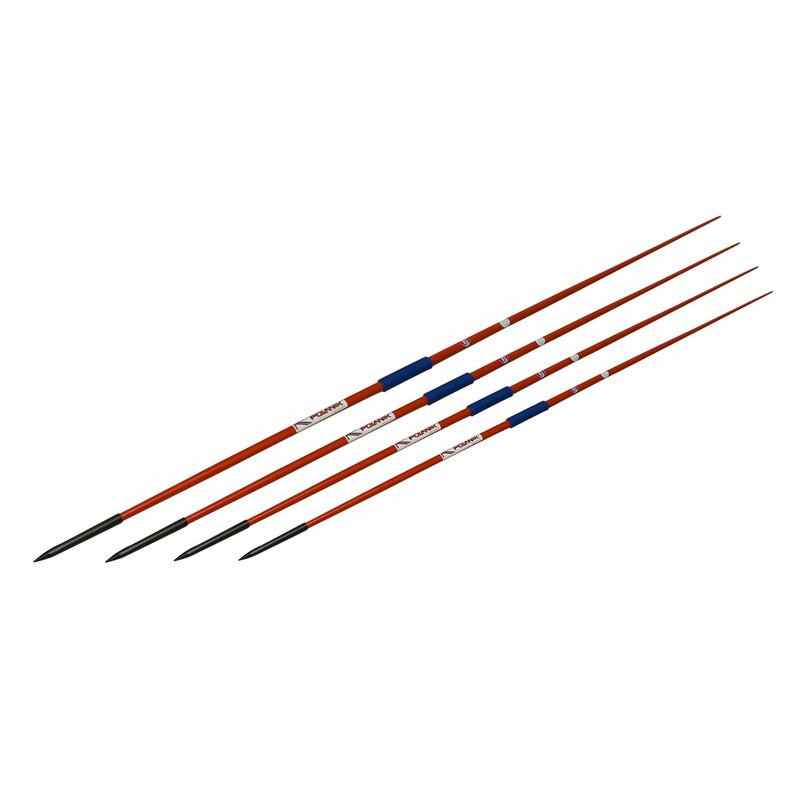 The majority of our Javelins come in a variety of weights ranging from 300g to 800g. Click on the individual products above to see which weights we have in stock. Below shows the theoretical distance rating for the Polanik Competition Javelin Range. 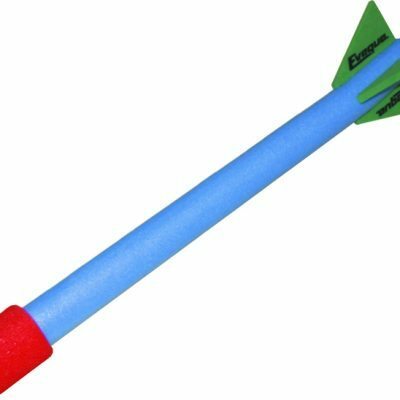 This is how far the Javelins can be theoretically thrown, however Javelins can travel beyond there theoretical range if thrown hard enough. 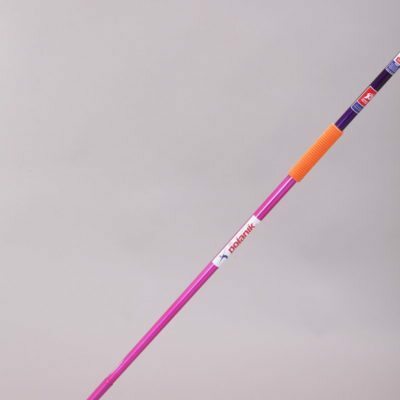 It is recommended not to buy a javelin that is to far above your PB throwing distances as it is better progress will be made working in stages.